Lucia Lučka Klanšek is a successful, inspiring entrepreneur, innovative thinker, investor, philanthropist, a pioneering spirit whose drive paved the way for many global achievements – she has founded, built and managed several successful companies. In 2008 she envisioned and established SLOVENIA 4 YOU FOUNDATION, with mission to inspire and open the possibilities for personal and business growth, within the fields of start-up and innovation, business development, women leadership and education. 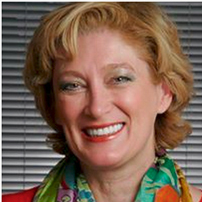 Her educational background includes undergraduate degree in Economics and Mastersdegree from the University of Ljubljana, MBA at IEDC Bled, Slovenia, Owner President Management (OPM31) program at Harvard Business School, Fundraising at New York University, Executive Program for Nonprofit Leaders at Stanford University, alongside with Tony Robinson’s exclusive program and CTI Co-Active Leadership program. Through her own story, Lucia Lucka provides inspiration and tools to help you grow your capabilities in order to your life and business to thrive.